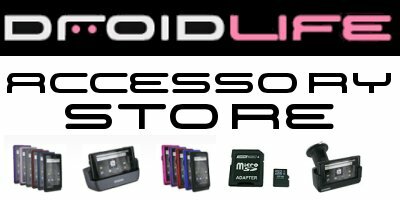 Just wanted to quickly announce that the official Droid Life Accessory Store has launched! Yay! Throughout the store, you’ll find products from some of the top companies in the business such as Seidio, Mobi, Jabra, and InvisibleSHIELD at some of the lowest prices around. Powered by Smartphone Experts, you should have no concerns with security or customer care and your checkouts should be seamless. You’ll now see a dedicated link in our top menu bar and a banner in the right sidebar for quick access, or you can simply visit http://store.droid-life.com. Head over there now and see what’s new!